For decades, after the Justice League of America's formation, the heroic young protégés of the League were the Teen Titans. Towards the end of the 1990s, however, a new team of youthful superheroes came onto the scene, who decided to forge their own path. 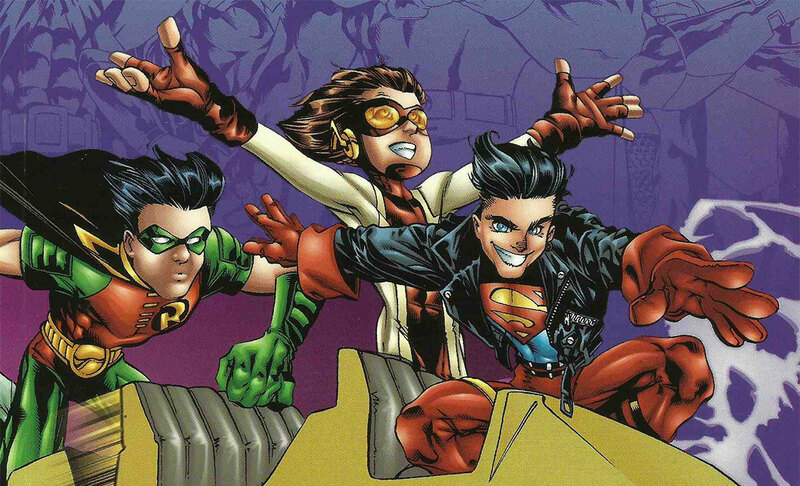 First appearing in 1998's Young Justice: The Secret #1, Young Justice was composed of Superboy, the teenage clone of Superman Conner Kent, Bart Allen -- the speedster from the future better known as Impulse -- and the third Robin, Timothy Drake. Soon, Young Justice would expand its ranks to include the second Wonder Girl, the heroine called Secret, and Arrowette. It would also serve as inspiration for the beloved Young Justice animated series (the third season of which, Young Justice: Outsiders, arrives here on DC Universe January 4th). 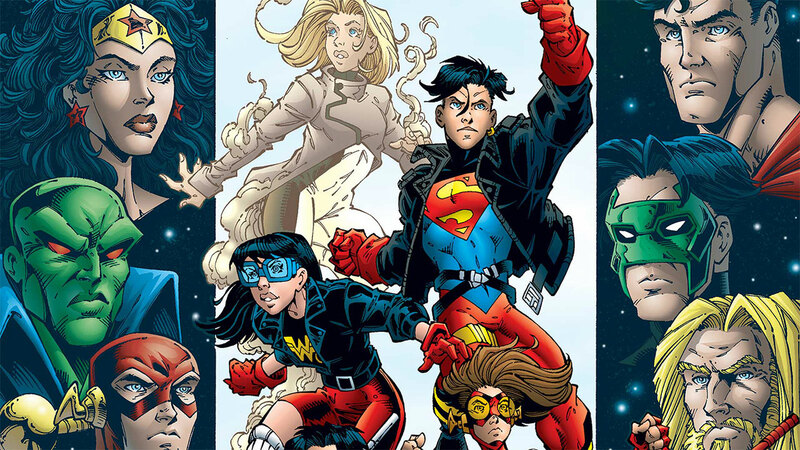 Young Justice unofficially formed in the mini-series JLA: World Without Grown-Ups. Despite the words “JLA” in the title, the comic wasn't really about the Justice League. It was about how their younger counterparts had to figure out what went wrong when all of the world's adults suddenly vanished. It turned out that a spoiled brat who didn't get the toy he wanted on his birthday accidentally unlocked the ancient powers of a god, and wished away everyone over the age of 17 into a parallel world. This left the three young heroes to figure out what was wrong, and bring their mentors (along with every other adult) back. 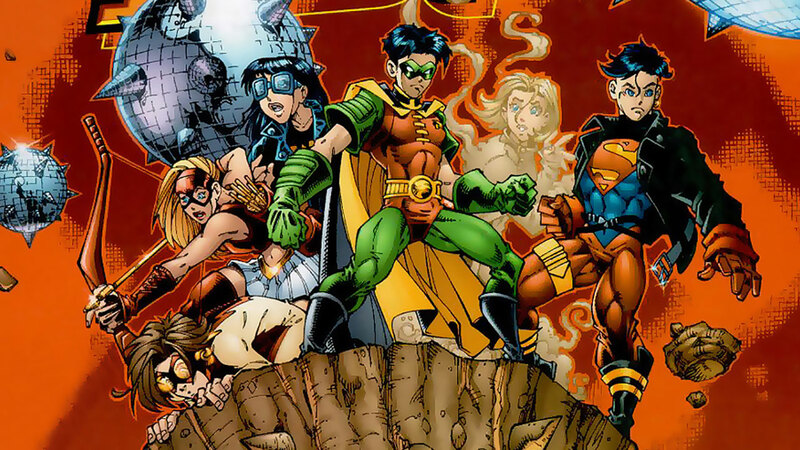 The three teen heroes earned their own monthly series with 1998's Young Justice #1, in which their decided to form their own group, which they wound up calling Young Justice, possibly because there was already a group calling themselves the Teen Titans at the time. They set up their headquarters in Happy Harbor, Rhode Island, in the cave that once housed the secret HQ of the first incarnation of the Justice League. There, they encountered the dormant android hero the Red Tornado, who became the team's adult mentor, though Robin served as field leader. Soon after, three teen superheroines join the fledgling team -- the second Wonder Girl, Cassandra Sandsmark, the mysterious ghost named Secret, and the archer known as Arrowette, a.k.a. Cissie King-Jones, the daughter of the now-retired former hero called Miss Arrowette. The six kids quickly bonded. Robin and Superboy became best friends, and Wonder Girl developed a crush on Superboy. In those early days, the team battled a wide variety of criminals, from the being known as Harm, who was Secret's adoptive brother, to the evil forces of Apokolips. Young Justice faced one of its biggest crises when public opinion turned against the idea of teenage heroes, after Arrowette attacked and almost killed a man who'd shot and killed a close friend of hers. This became worse when a group of former kid sidekicks from the ‘40s, nicknamed "Old Justice," attempted to have the government shut down the team. In the midst of all this drama, the powerful sorcerer named Klarion the Witch-Boy made it so that several younger heroes were aged to adulthood, and then several adult heroes were de-aged to adolescence. This was all revealed as part of a larger plan orchestrated by the group known as the Agenda, headed by the former wife of Lex Luthor, Contessa Del Portenza. It turned out she had been manipulating events for years, hoping to turn public opinion against superheroes, regardless of whether they were adults or teenagers. She chose Young Justice as her initial target, believing their youth and inexperience made them the easiest target to go after first. But the team proved its worth during this crisis and defeated the Agenda, showing the world they should never be underestimated due to their youth. 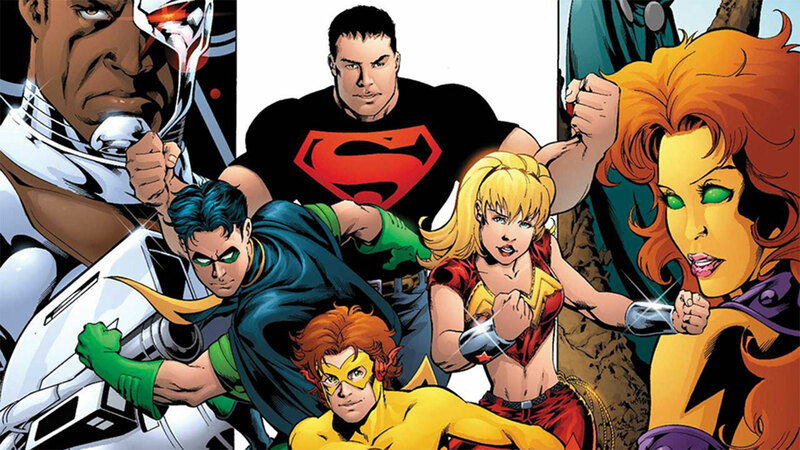 After surviving this crisis, the roster of Young Justice changed. One might even say this was the moment they truly grew up. Soon after, Superboy's longtime girlfriend Tana Moon was murdered, forcing him to face the first true tragedy of his life. Wonder Girl also ditched the black wig and glasses that were a part of her costume, and learned to embrace her true self more. The teams also added two new members: the enigmatic Empress, and the de-aged version of Lobo, nicknamed Lil' Lobo. The team faced their harshest test when they were stranded on the planet Apokolips, home of Darkseid and his minions. The kids were forced into the care of Darkseid's cruel servant Granny Goodness. She and her army of Female Furies subjected the members of Young Justice to different forms of mental torture. Secret was taken by Darkseid himself, who told her that her true nature was evil, which made her a valuable asset to him. Though they eventually escaped Apokolips and made it back to Earth, their experience with true evil left the team deeply shaken, and promoted both Impulse and Robin to quit; at least temporarily. During this time, Wonder Girl matured and became team leader. When Robin returned, it was no longer in a leadership capacity, though his technical expertise was something the entire team heavily leaned on. Things truly reach a turning point for the team when Secret learned her father was going to be sentenced to death for a crime he didn't commit, the murder of her brother, Harm. When she begged her friends to help bust him out of jail, they refused. She freed her father anyway, and, in a moment of rage, left Earth and agreed to become the apprentice of Darkseid. Her teammates attempted to appeal to her better nature, but when she finally turned on the Lord of Apokolips, he used his abilities to strip her of her immortality and powers, leaving her a normal human being, which is what she always really wanted. With Secret now human and no longer a member, the team, along with the adult Titans, were attacked by the android from the future called Indigo. Suffering heavy losses, including the death of Wonder Girl's predecessor Donna Troy, the demoralized Young Justice decided to finally break up. 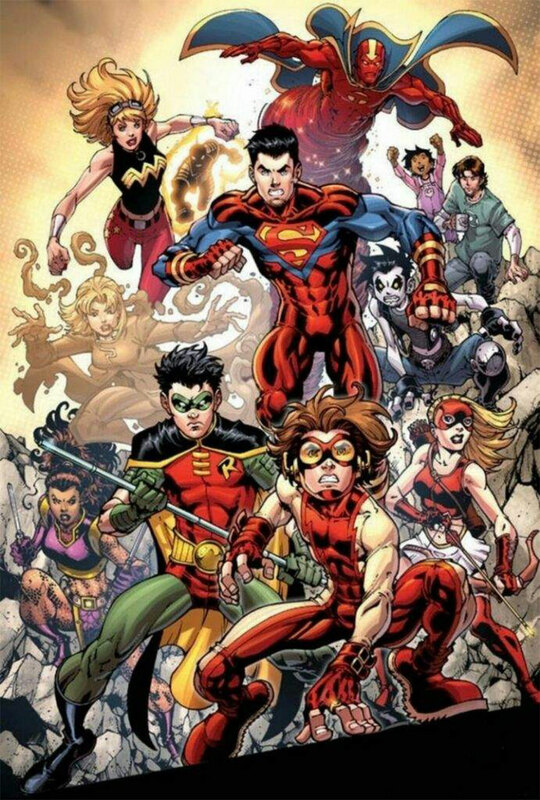 After not speaking to each other for several months, Robin, Superboy, Impulse, and Wonder Girl were approached by the former Titans Cyborg and Starfire to form an all-new version of the Teen Titans. Though they left the Young Justice name behind them, their time as heroes and friends was forged as part of this group. And they left their mark on the history of the DC Universe.